The empire of Mark Zuckerberg collapses once again after a month: Facebook, Instagram and WhatsApp are reportedly not working since 12:40 today and the problems seem to persist. 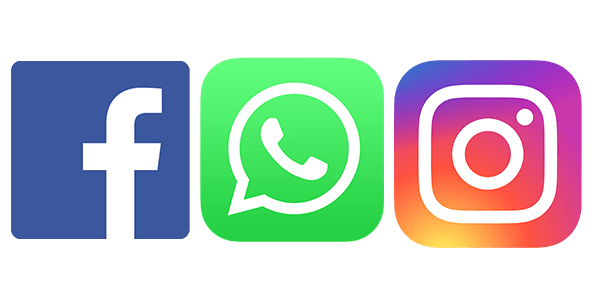 At the moment we still don’t know the causes but do not worry, it is not a problem of your smartphone/internet if you can’t publish a post, you can’t publish a story or use some of the features of the various social networks. Everything will be normal within few hours as Facebook’s Technicians are working on it. Mainly Facebook is no longer reachable by typing facebook.com or using the application. It is possible that you can read some posts, since some of them are preloaded or were cached when you last viewed them but not all and above all you will not be able to update your feed or post new states. Likewise, even Messenger does not work with the same problems. Even WhatsApp seems to be having problems, with the application that seems to be continuously offline, making it difficult to send messages to your contacts. Do not worry so if you do not see check boxes that confirm the sending of messages, the problem is not of your smartphone but of WhatsApp systems. In the case of Instagram , on the other hand, the problems seem to be wide-ranging: impossible to publish stories, impossible to update the feed and the stories of friends, impossible to publish posts. In short, the application is almost unusable.